In 1994, United Parachute Technologies unveiled the Vector 3 Harness/Container system - the first FreeFly rig on the market. This new design incorporated concepts that originated through years of research and development, and was introduced to meet the demands of modern SkyFlying. 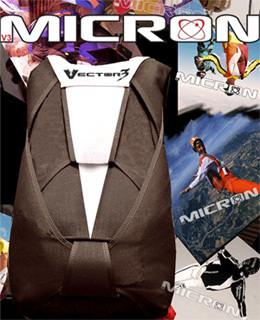 In 1999, using the latest technology and the knowledge United Parachute Technologies gained in building the Vector 3, we designed a container system aimed towards the growing trend of smaller canopies, the Micron- the most technically advanced harness and container system in the world. 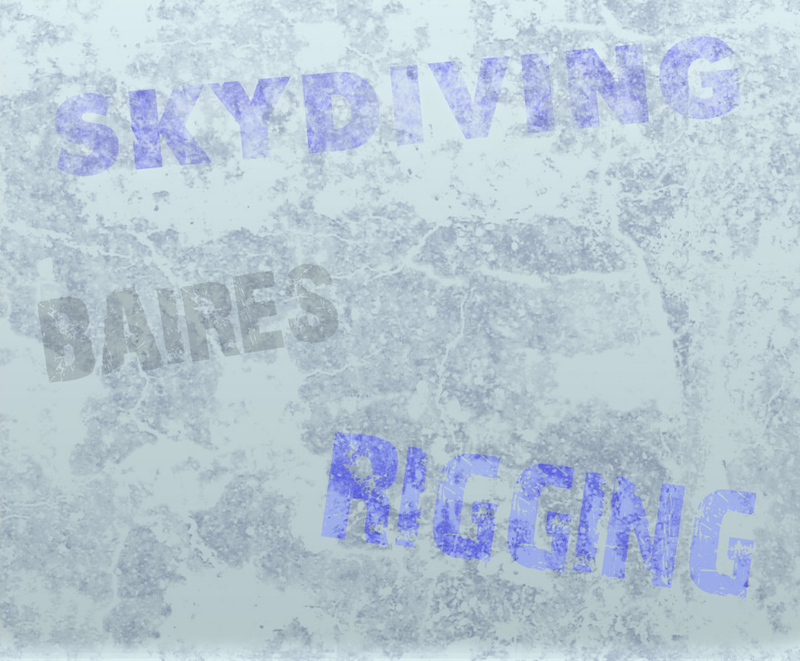 United Parachute Technologies did this by hiring a team of engineers never seen before in the arena of sport skydiving. These engineers, who happen to be world-class competitive skydivers, reviewed our systems designs and applied sound engineering practices to them. In doing this they were able to improve the function of the Vector 3 riser covers, pin protection, comfort and the operation of the three-ring release system. In 1994, United Parachute Technologies unveiled the Vector 3 Harness/Container system - the first FreeFly rig on the market. This new design incorporated concepts that originated through years of research and development, and was introduced to meet the demands of modern SkyFlying. 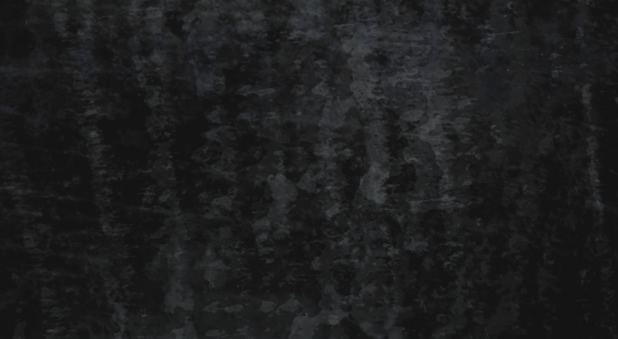 In February of 2002 we introduced the Vector 3 M-Series an update to our "classic" Vector 3. The M-Series improves the function of the Vector 3 riser covers, pin protection, comfort, the operation of the three-ring release system and is designed to accommodate larger canopy sizes to that of the Micron. In 2002 UPT decided that an upgrade to the then Vector 2 student rig was required. 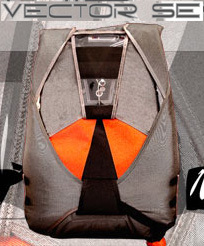 We had already stopped production of the Vector 2 sport system, but we had continued to produce the Vector 2 student system as a low cost alternative to DZOâ€™s, but we identified a need to keep up with the times and update to the latest technology of the day.We went about the design in the following fashion. First of all we wanted a container that was still cost effective, comfortable, easy to use and easy to maintain - while also utilizing the latest technology to ensure the safest container for low experience jumpers. Many other manufacturers had gone the route of adding student options to their sport rig, which is not very cost effective and is difficult to maintain, with features not necessarily beneficial to student operations. In engineering, the word Sigma means a "Summation" or "Answer" to the problem. We chose to name our new tandem rig Sigma, because it represents a "Summation" of everything we have learned about tandem equipment, and the people who use it, since 1984. 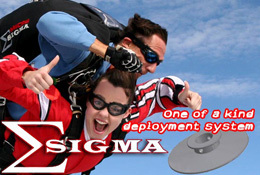 Unlike all other tandem systems, where the drogue was simply tacked onto an existing design, the Sigma was built from the ground up, as a drogue deployed system. Contained within its design is an "answer" to every container related problem we have observed.